The Ford Escape has often and consistently been the best-selling compact sport utility vehicle in its segment. That’s saying something when you know how popular the compact SUV segment is in Canada. 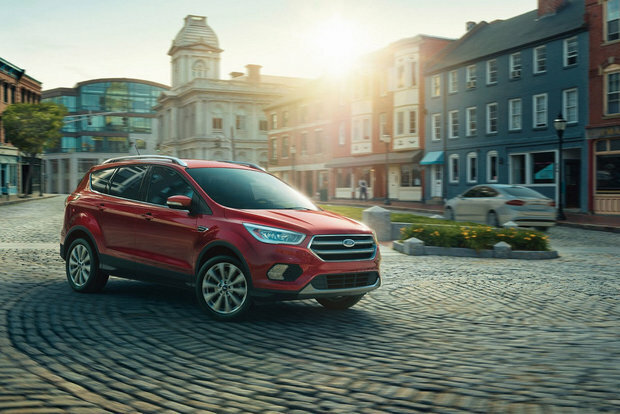 With an impressive combination of efficiency, interior space, design, performance, and plenty of trims and engines to choose from, it’s no wonder the 2017 Ford Escape has kept its momentum going after its redesign last year. 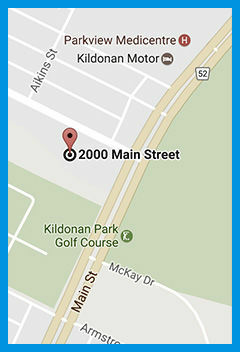 There are three engines available in the 2017 Ford Escape. Offered starting at $24,599, the 2017 Escape is powered out of the gate by a 2.5-liter, four-cylinder engine that delivers 168 horsepower and 170 lb.-ft. of torque. This engine is paired with a six-speed automatic transmission, and can be only offered in front-wheel drive models. It has an average fuel economy rating of 11.1 liters per 100 kilometers in the city, and 8.1 liters per 100 kilometers on the highway. Next in line is a 1.5-liter, four-cylinder EcoBoost engine that delivers 179 horsepower and 177 lb.-ft. of torque. This engine is also combined with a six-speed automatic transmission, and can be paired with either front-wheel drive, or all-wheel drive. Although it has more power than the base engine, the 1.5-liter powertrain relies on EcoBoost technology for improved fuel economy. According to Ford, average fuel economy will be 10.2 liters per 100 kilometers in the city, and 7.8 liters per 100 kilometers on the highway. Quite impressive. Finally, the top-of-the-line engine is a 2.0-liter, four-cylinder turbocharged engine that delivers 245 horsepower, and 275 lb.-ft. of torque. Turbocharged, this engine delivers a lot of power which will be sent to the front wheels or all four wheels depending on the version. Although it features almost 250 horsepower, the 2017 Escape’s 2.0-liter four-cylinder engine has an average fuel economy rating of just 9.4 liters per 100 kilometers combined. The base engine can tow up to 680 kilos while the 1.5-liter EcoBoost has a towing capacity rating of 907 kilos. The turbo can haul up to 1,587 kilos. Cargo capacity is the name of the game in the new 2017 Ford Escape. 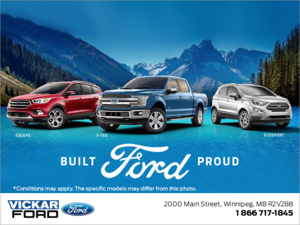 The 2017 Ford Escape has been popular with buyers in Canada for a host of reasons that include the latest safety and connectivity features included in different trims and versions, its fuel-efficient yet powerful engines, and its interior space. Indeed, there is plenty of room in the 2017 Ford Escape, especially in the back where headroom and legroom are plentiful. In terms of cargo space, the 2017 Ford Escape offers 964 liters behind the second row, and 1,925 liters with all seats in place. To learn more about the 2017 Ford Escape, contact us today at Vickar Ford!